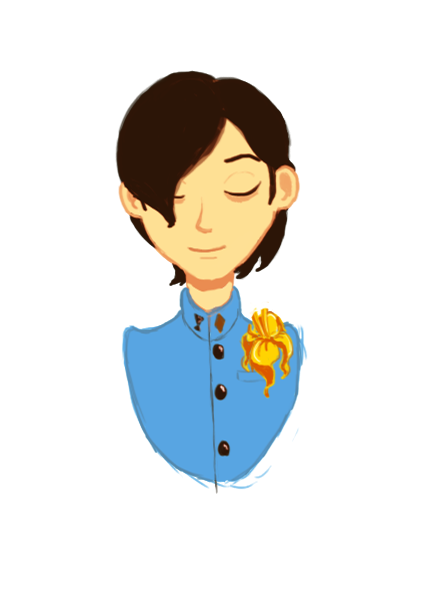 A digital painting I did yesterday of Jun Kurosu, a really good and cute guy from Persona 2, who I love a lot. 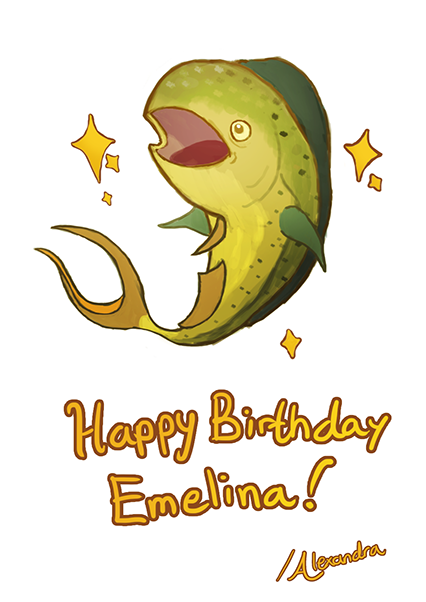 I really like the fish in the second illustration. Very nice work! Adorable fish. Yeah, these are indeed very nice art! Looking forward to seeing more from you, @Alexandra. That is a very adorable fish. Those are some really nice drawings. I especially like the use of colour. 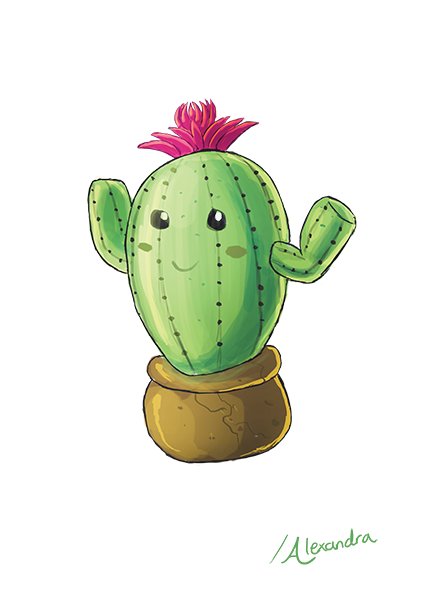 That's a very cute cactus you made there, Alexandra! I wish I colored my creations. Its lovely. (12-06-2018, 04:56 PM)Mariotroid I wish I colored my creations. Its lovely. Usually, I start with colors and then (if I want to for that particular piece) add outlines afterward. To me, it's often easier to work with color shapes than with lines when defining a shape.